Chaitanya Deva loves sharing his wealth of experience in yoga, meditation & anatomy. Prior to this video interview, all I knew about Chaitanya Deva was that he and his wife Bex owned Studio Evolve in Nelson, and that they ran Evolve Festival. And that they were preparing to launch their first teacher trainings this April. Then Chai sent me an email giving some background information for this interview. Not only had he spent time with B. Prior, a ‘world teacher utterly devoted to awakening’, done the India thing, had his time as a punk rocker and a Jehovah’s Witness… but his father was enlightened. Now I haven’t met a single person in my life who could claim an enlightened father. And I’ve met a LOT of people in my time of travelling, parties, bars, clubs, festivals, events and in the yoga world. Yes, back in the 1990s, after years of seeking and searching, Chai’s father Maitreya Ishwara began having a series of awakening experiences – three major ones that led to the penultimate experience of abiding non-duality. I won’t say any more, because Chai does a damn good job of telling his own story in this interview. Suffice to say, talking to Chai was fascinating. Studio Evolve co-founder and principal yoga instructor Chaitanya Deva and Team are offering a 200-hour Yoga Teacher Training program. A series of workshops (self esteem, anatomy, philosophy etc). Participation will cultivate your ability to become an inspiring and skilled teacher and deepen your own practice. 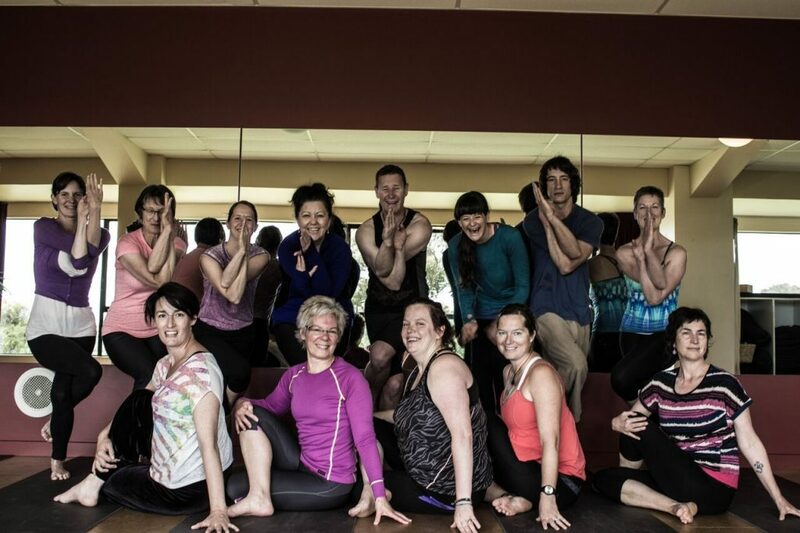 The program is a life-changing opportunity to completely immerse yourself in a daily yoga practice, connect with like-minded people and to deepen your knowledge of anatomy, history and philosophy of yoga and, ultimately, yourself. Participants from all over New Zealand are invited – with cheap flights from Auckland and Wellington (or easy drive from Christchurch) making sunny Nelson very accessible. Breakfast and dinner is included in the price. We can assist you with finding affordable accommodation. Chaitanya vividly remembers the night of his awakening. It was the first full moon of 1995 and he was mid-way through a six-month pilgrimage in Poona, India. Chai was already dedicated to a daily practice, meditating up to 10 hours a day, but it wasn’t until that night, as the moonlight dripped through the banyan trees, that he finally felt the power of the witness within him. Something switched inside and life was never the same again. He walked in and out of ‘satori’ for the next three months, before returning to the UK. Pilgrimages to India from the UK continued for the next four years. In 2000, he moved back to New Zealand. Around this time, he he started practicing Ashtanga yoga, worked as a Reiki Master completed a Diploma in Therapeutic Massage and undertook yoga teacher training at Hot Yoga Nelson in 2008. 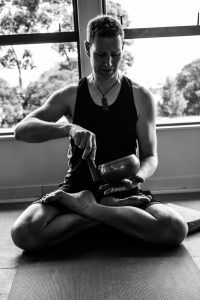 He completed an additional 300 hours of teacher training at Purna Yoga Byron Bay in 2015. Together with his wife Bex, Chai owns Studio Evolve Nelson and runs the transformational festival, Evolve, at Founders Park.